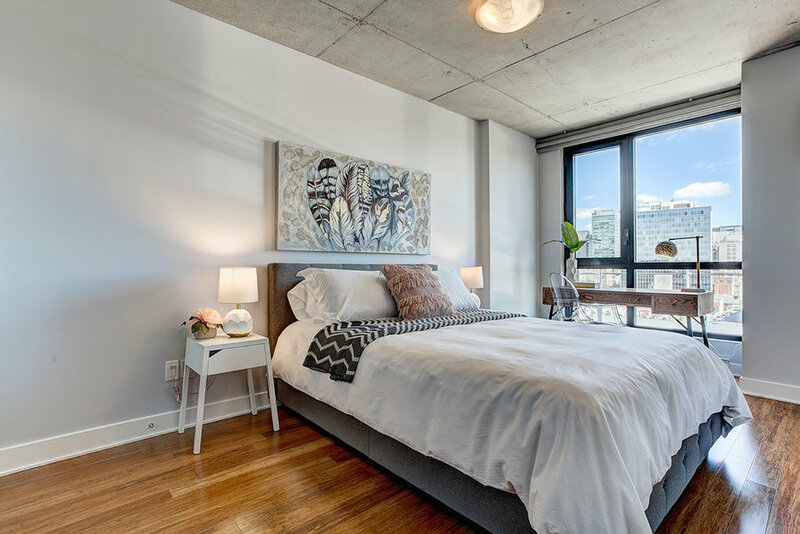 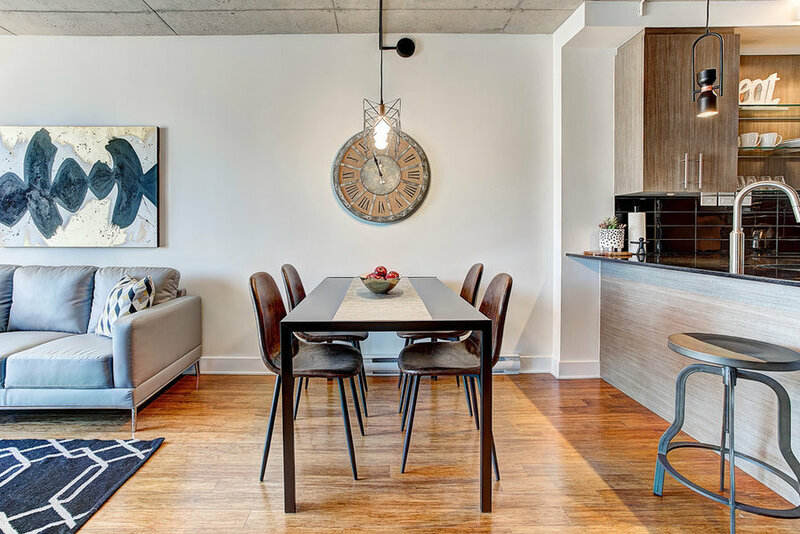 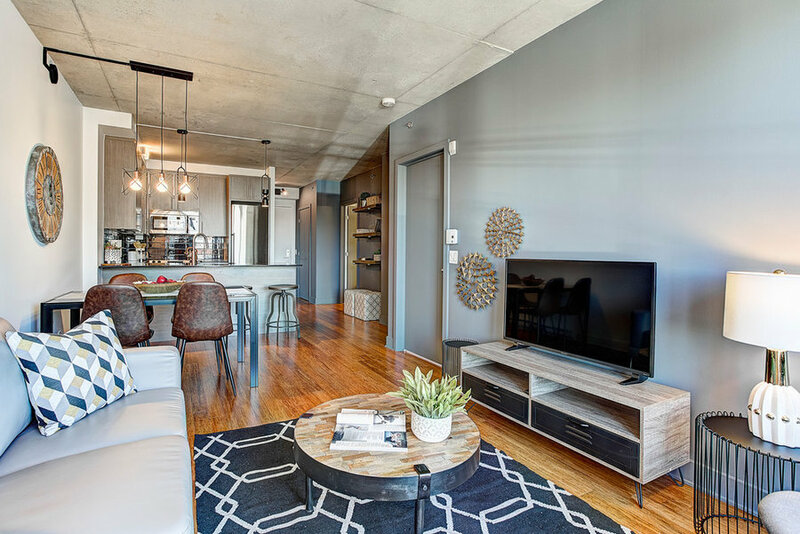 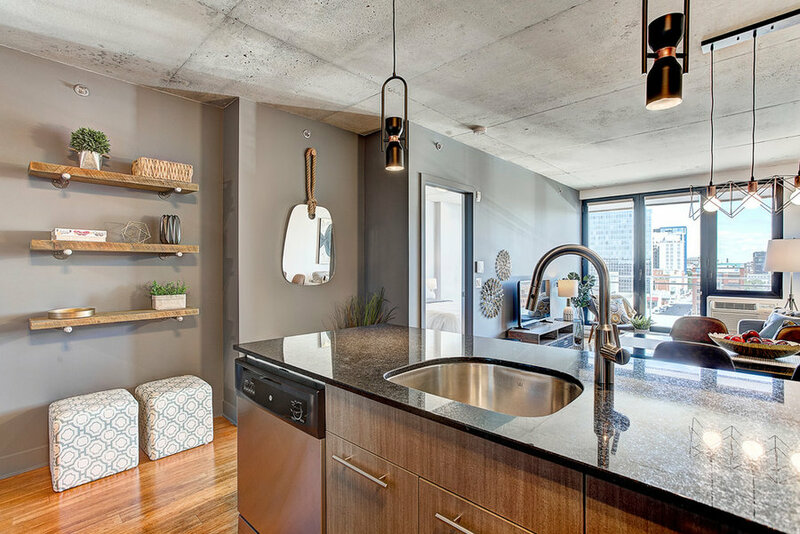 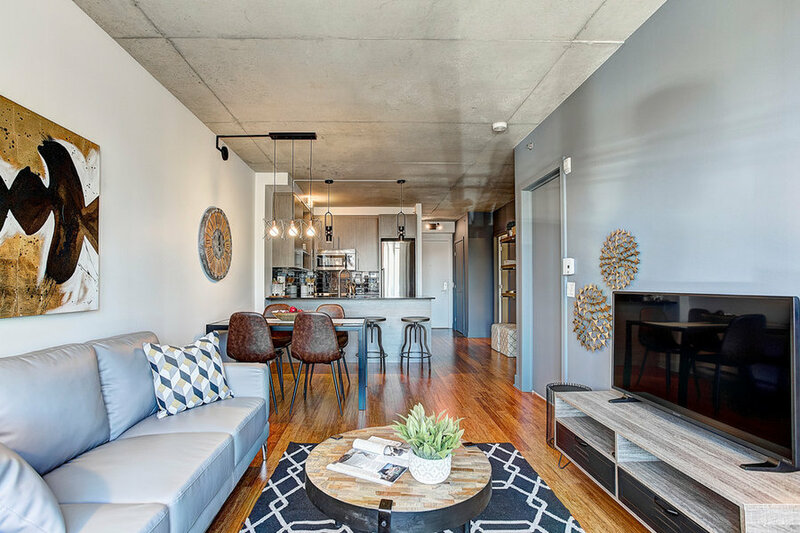 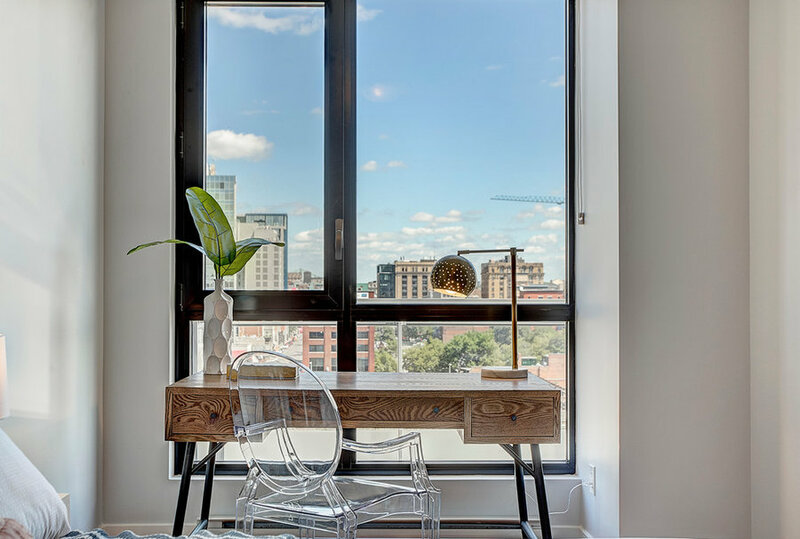 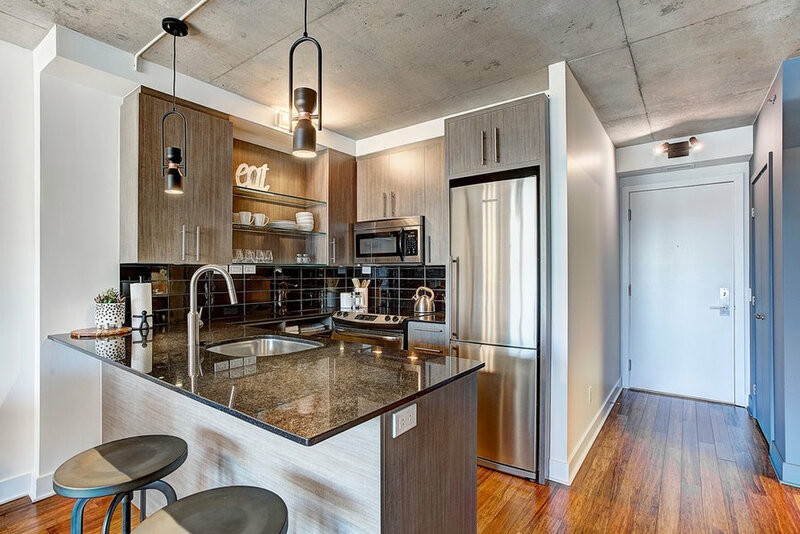 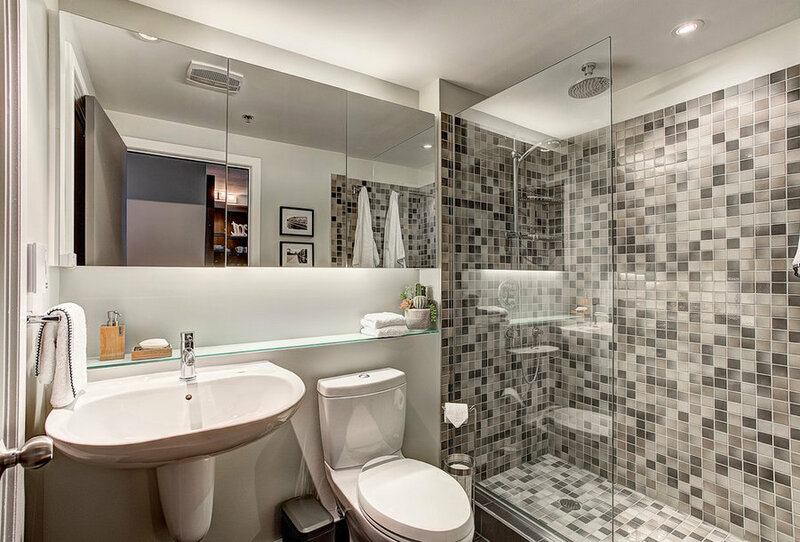 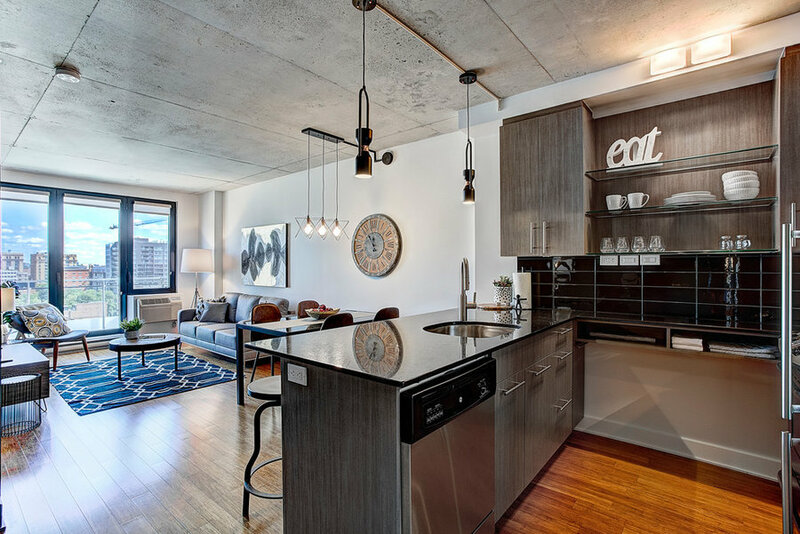 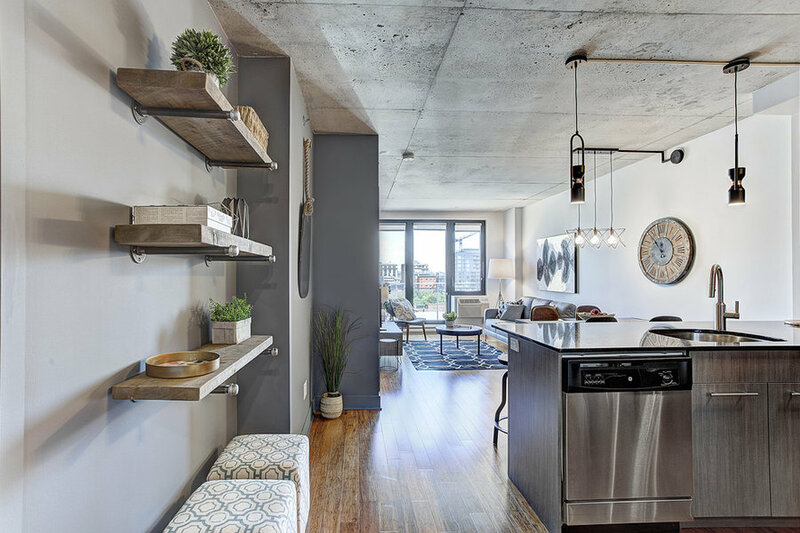 This 1 bedroom, 1 bathroom 588 sq ft condo, located in the trendy Griffintown district of Montreal was purchased by an investor living overseas. 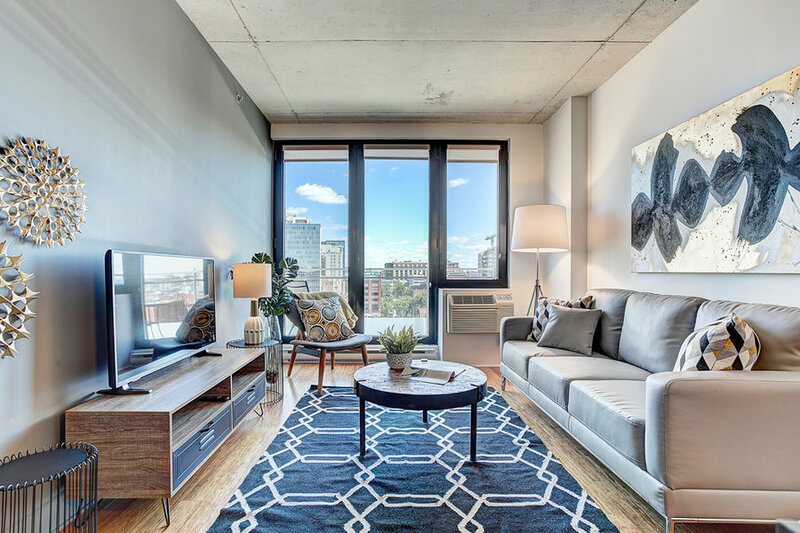 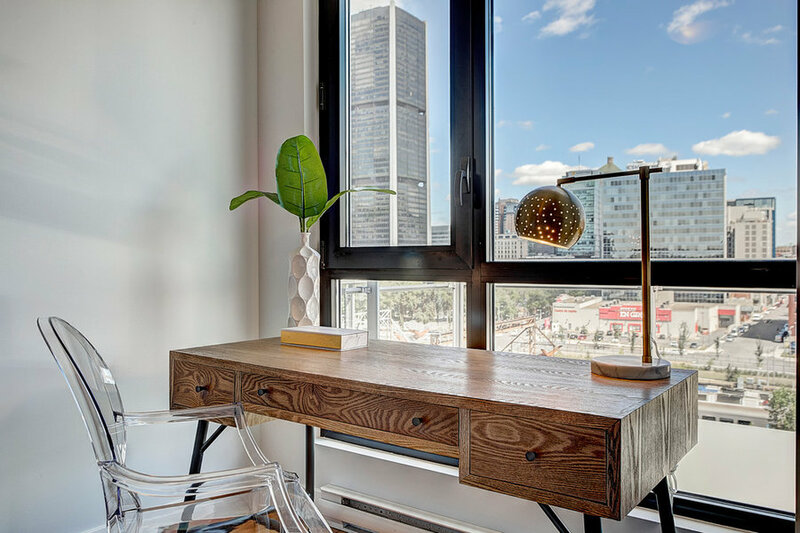 We were brought in to make it a turn key unit by completely furnishing it for the rental market. 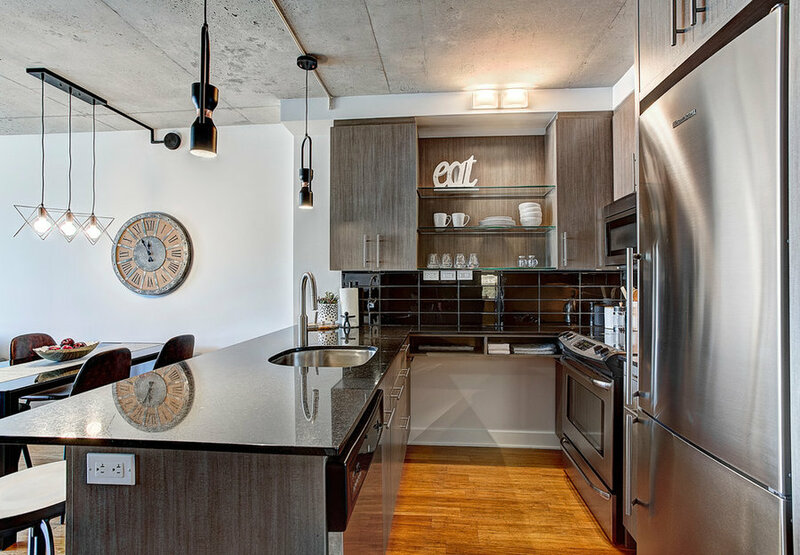 We repainted, replaced most of the light fixtures and gave it a whole new look. 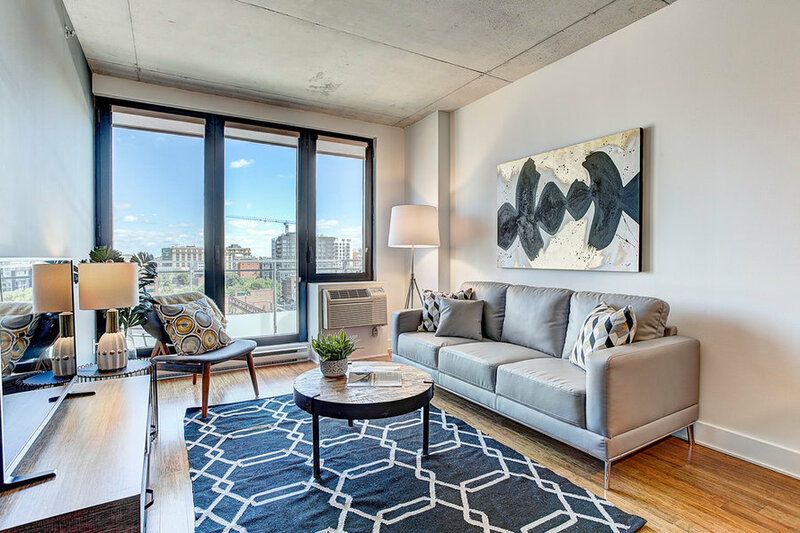 It received an offer to rent as soon as it hit the market!